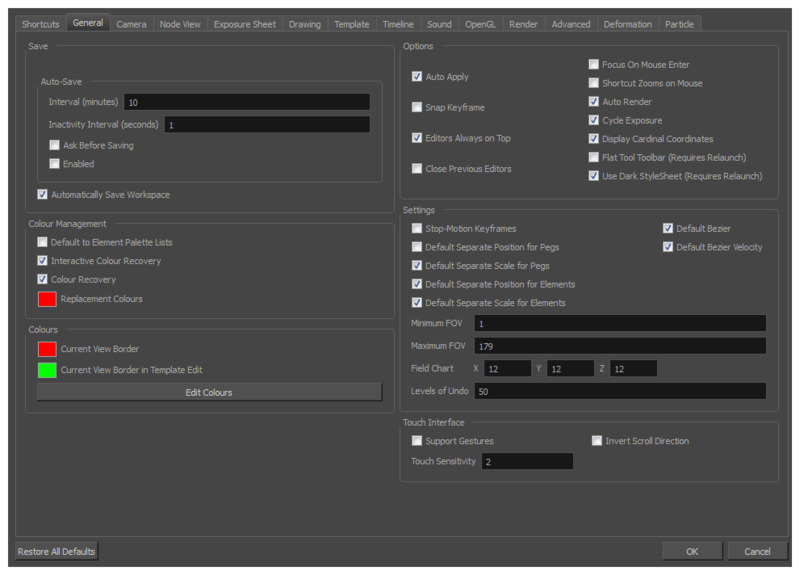 An important feature of Toon Boom Harmony is the Preferences dialog box. From here you can customize your interface, tool behaviour and shortcuts. Throughout this guide, you are often required to go to the Preferences dialog box to set parameters and options. NOTE: To learn about the different preferences available, refer to the Preferences Guide. Windows/Linux: From the top menu, select Edit > Preferences.